Mount Stewart and Rowallane are joint providers for a 2 year placement. Mount Stewart on the shores of Strangford Lough enjoys one of the most benign microclimates of any garden in the British Isles. Throughout its approximately 90 acres, there are rare and exotic plants not often seen growing outside in the UK. The 10 acre formal gardens are a series of compartments, each themed with personal commemoration, self-depreciating humour and allegory, but all carried off with panache. The planting is rich, complex and exotic. There is an informal woodland garden surrounding a lake, with one of the most diverse plant collections in the British Isles. The garden is expanding again with new areas constantly being developed, including the Walled Garden, Fernery and Himalayan Walk with a comprehensive collection of Maddenia section Rhododendrons. The 2 acre nursery in the Walled Garden is the powerhouse of this complex garden. 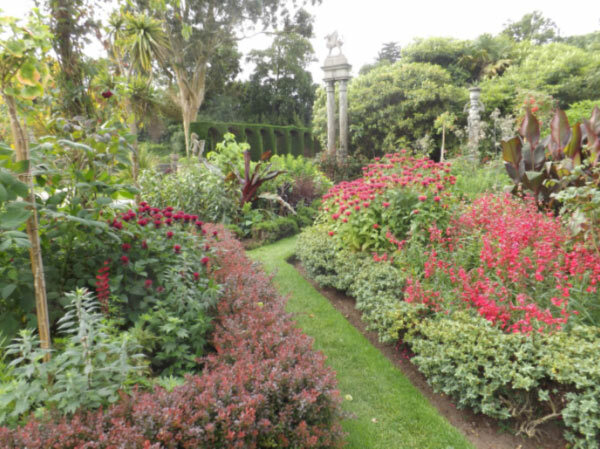 Rowallane is an informal plantsman’s garden which is now in its 155th year. The landscape is carved from rocks within the 52 acre site and stretches to include walled gardens, rock garden and informal paths through woodland in which a huge diverse variety of exotic trees and shrubs thrive. It boasts a heady mix of wild species rhododendron, sitting in an informal style whilst framing views throughout to the wider landscape. The grass areas are cultivated to suit certain areas of established wildflower meadows. 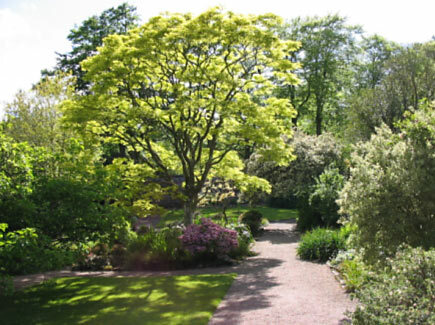 Rowallane is an informal plantsman’s garden which is now in its 155th year. The landscape is carved from rocks within the 52 acre site and stretches to include walled gardens, rock garden and informal paths through woodland in which a huge diverse variety of exotic trees and shrubs thrive. It boasts a heady mix of wild species Rhododendrons for its fame sitting in an informal style whilst framing views throughout to the wider landscape. The grass areas are cultivated to suit certain areas of established wildflower meadows. We have recently secured a 5 year restoration bid for planting, visitor flow and structures. There are 5 full time gardeners with student, volunteers and work placements. You will gain experience in propagation, pruning, planting, preparing beds for planting, as well as in maintenance work such as mowing, strimming, hedge cutting, weeding, path maintenance. Both gardens have a wide range of machinery, and both have dedicated propagation and composting areas. You will be interacting with visitors and assisting with interpretation work to enhance the visitor experience. Mount Stewart has a major project going forward into 2017, whilst Rowallane has secured funding for a four year period garden improvements, so you will be closely involved in these developments. Mount Stewart: The nearest station is Bangor (10 miles away). There is also a bus from Belfast to Portaferry which stops at the garden. Newtonards (5 miles away) is the nearest town with supermarkets and other amenities. Rowallane: The nearest station is Lisburne (11 miles away). There is also a bus from Belfast to Downpatrick which stops at the garden. Ballynahinch (6 miles away) is the nearest town with supermarkets and other amenities. The two gardens are approximately 25 minutes’ drive apart. Accommodation: Mount Stewart may be able to offer some shared accommodation for the 2nd year of the placement.